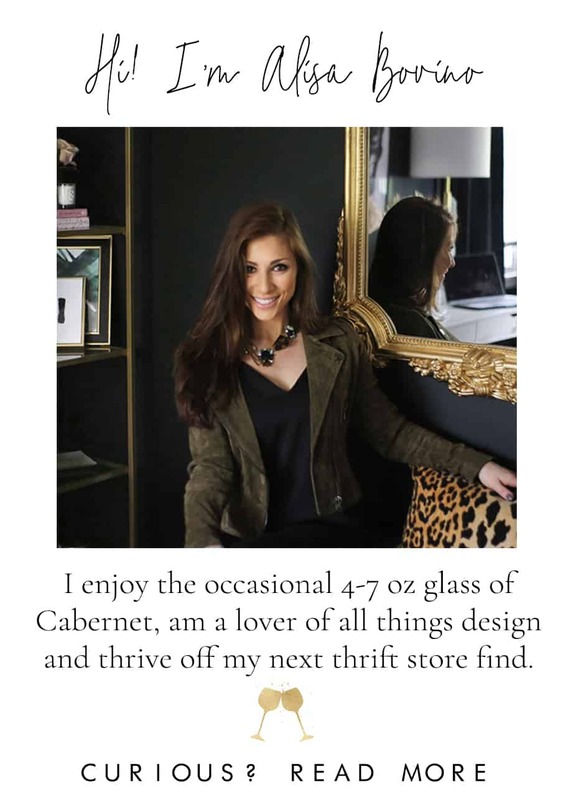 Spoiler alert: I thrive on finding and sharing a good bargain. It’s been instilled in my DNA since I was a young kid when I would scour the aisles of Dollar General looking for ways to make the most of the $5 I had earned from my allowance. To me, Amazon is today’s bigger, broader, and better version of Dollar General, where I often (ahem, every day) find myself falling into rabbit holes while searching for items I’m determined to find at the best price. Always lookin’ for ways to maximize that dollar. 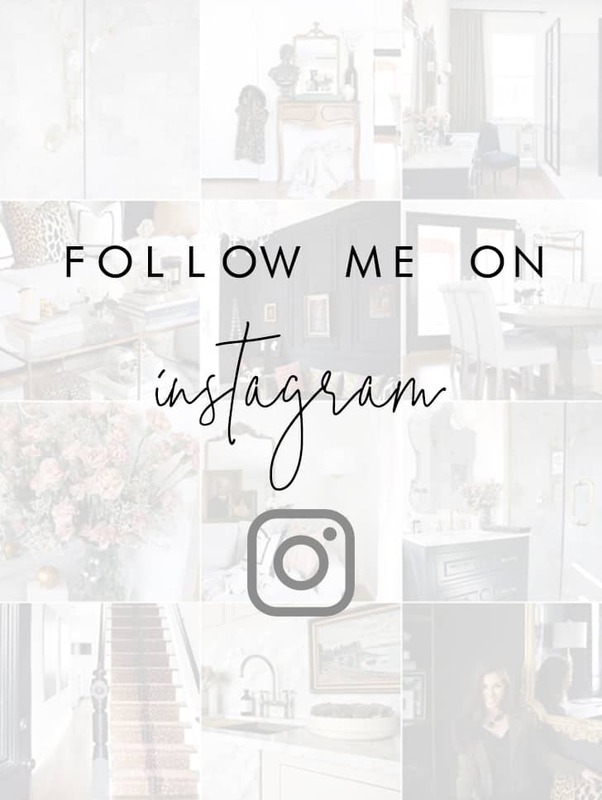 If you’ve been following me on Instagram, you probably noticed my recent IG story “spree” where I’ve been posting a few of my home decor bargain finds from Amazon. 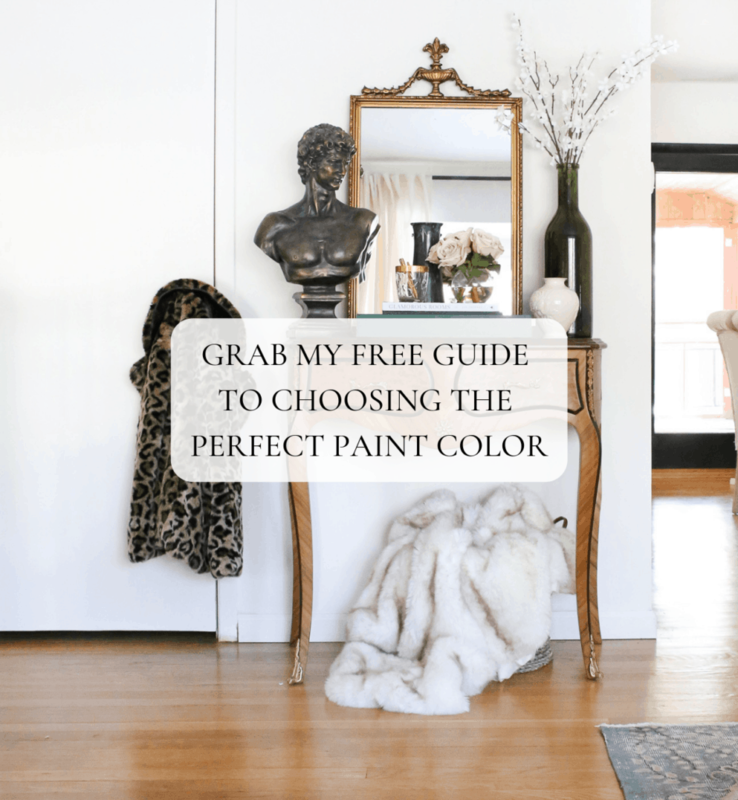 It’s one thing to share all these bargain finds, but it’s another thing to actually show you where and how I’ve been using these bargain finds to style my home. 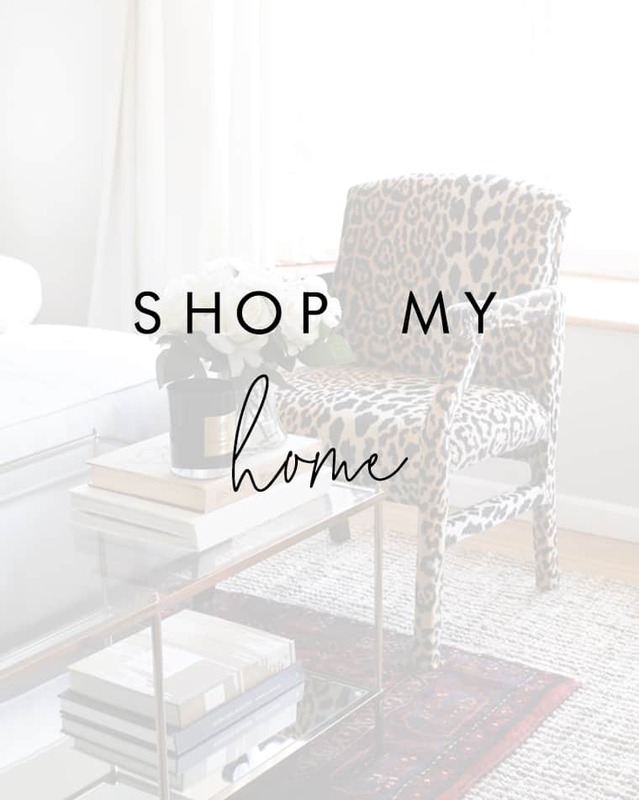 With that said, in today’s 7 oz Sunday Series I’m sharing how I styled 7 recent Amazon bargain finds in my living room! I’ve been on a croc-texture-binge lately, and while searching for a croc textured pillow cover, I stumbled upon this one for only $21.99. I was skeptical to order it as there weren’t a ton of reviews (does anyone else only buy things based on reviews?? ), so when it came in the mail 35 minutes later (PRIME BABY), I was utterly surprised by the quality. I like to test the limits of “getting what you pay for” and this is pillow cover passed that test. 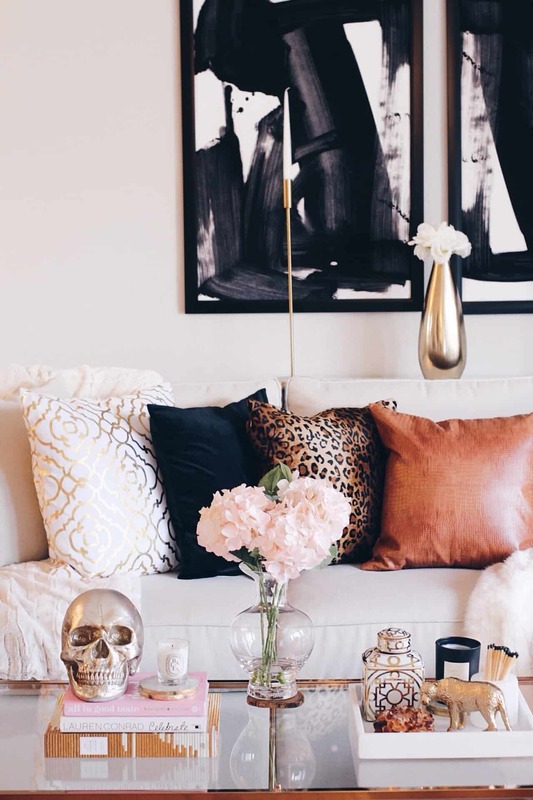 I threw it on my sofa next to my leopard pillows and suddenly realized they were kinda like long lost half-siblings. Do I even have to mention that it comes in other colors?! While we’re on the topic of pillows, I supposed I should tell you that the leopard pillows shown above are ALSO from Amazon. 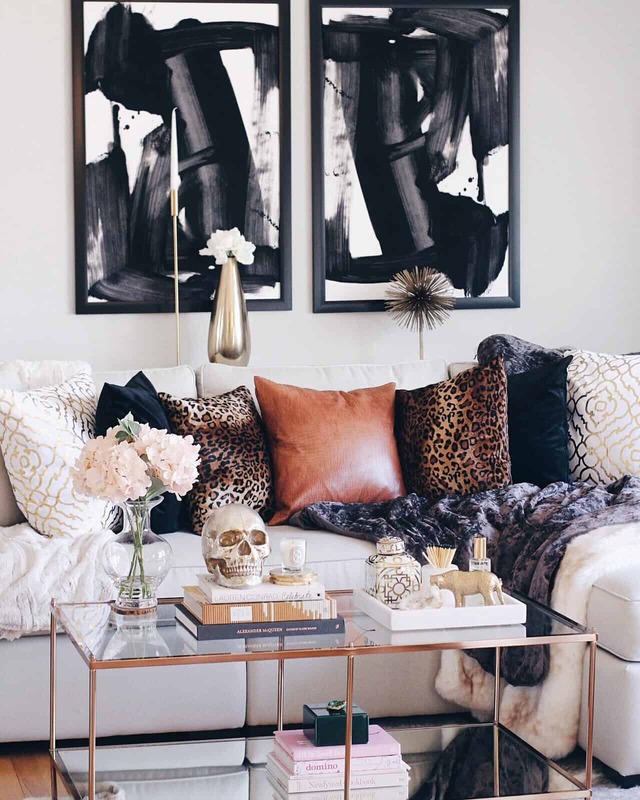 When I stumbled upon a set of TWO leopard pillow covers for only $16.99 I HAD to have them. 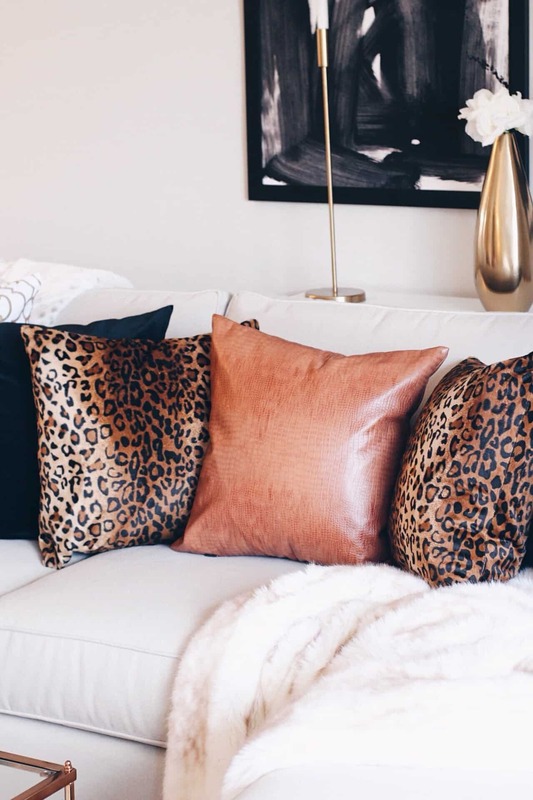 They aren’t as “vibrant” or high quality as my Braemore Jamil velvet leopard pillow (that I sneak into almost every one of my photos), but they’re still quite pretty for the price! While on the hunt for agate coasters, I was surprised by how expensive they can be (they’re flat rocks, wtf), so I took to Amazon and found these for only $25.62. They had mixed reviews but I impulsively ordered them anyway because it was the lowest price I could find and I must say, I was rather impressed with the quality. 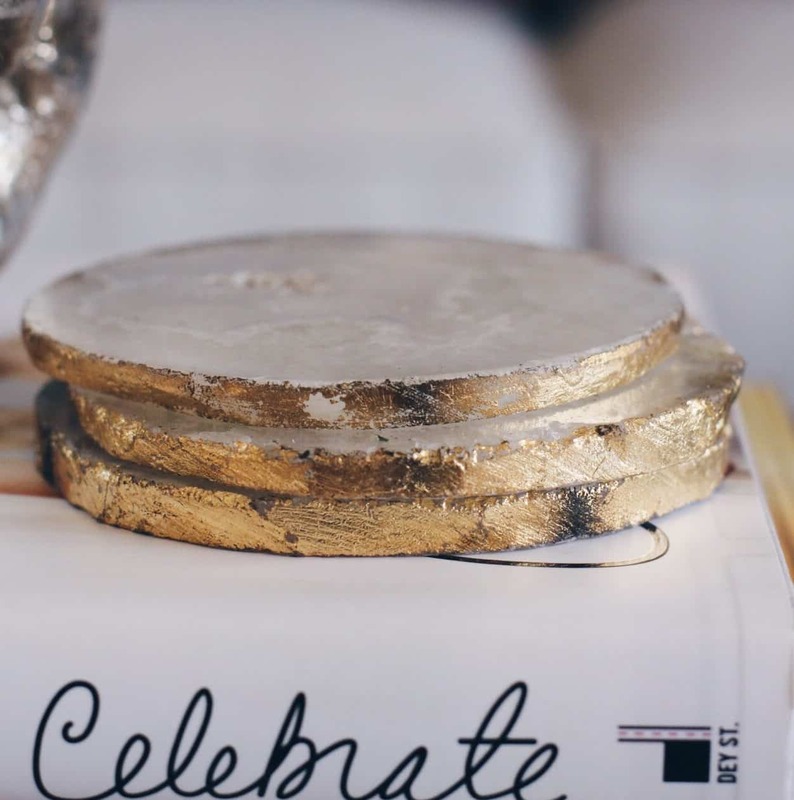 And the edges are GOLD PLATED! I MEAN?! 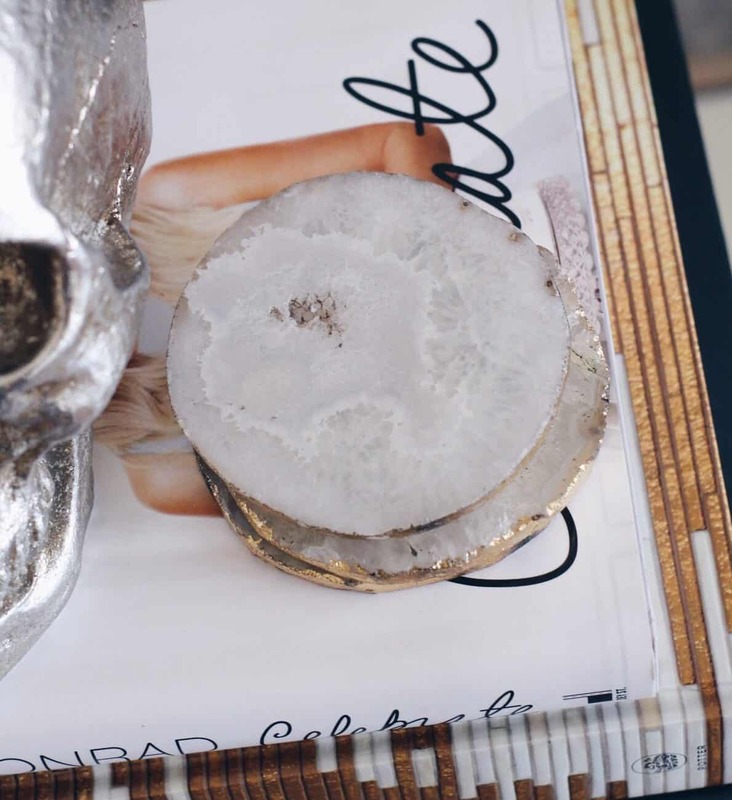 Chances are if you’ve looked at any trendy home decor photos recently, there’s probably a Louis Vuitton or Tom Ford book resting somewhere between a floral arrangement and a decorative tray. 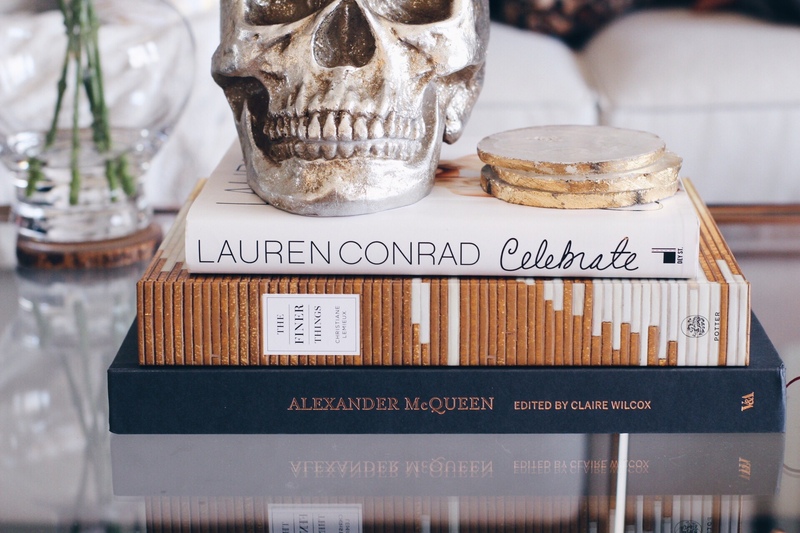 These stylish books can get rather expensive at almost $100 each and every time I “try” and purchase one (try = place in my cart and begin thinking about what else I could have for $100), I close my chrome tab before I make a decision I’ll regret. 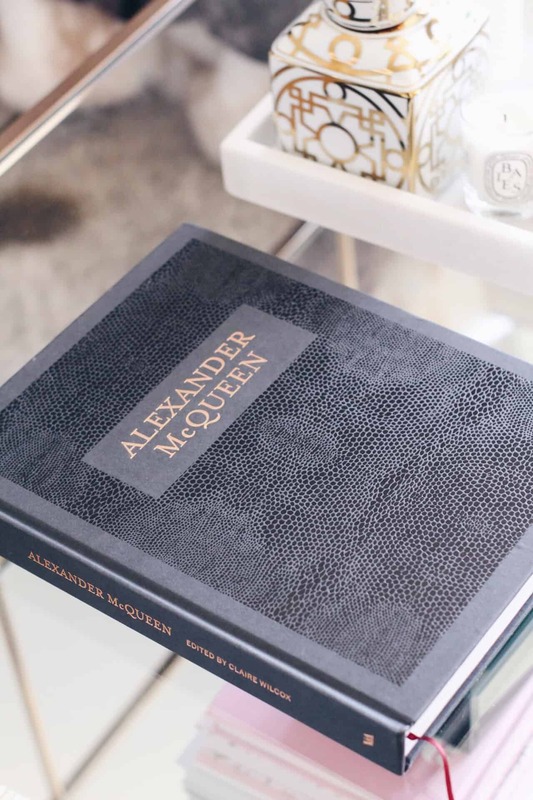 For a while, I’ve been eyeing this Alexander McQueen book after falling in love with the croc-ish textured cover/rose gold foil letters and furiously threw it in my cart when I finally found it on Amazon for half of what I saw it for elsewhere. 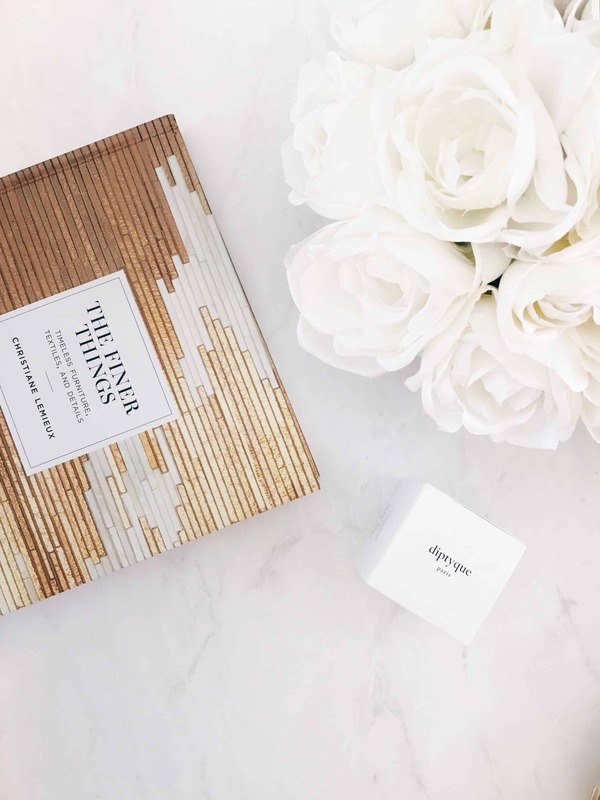 Although I have to tell you that my absolute favorite coffee table book purchase from Amazon is The Finer Things, which not only has a stunning textured cover, but it’s also the most informative, in-depth book I’ve read (thus far) on interiors. It was around $35 and I would highly HIGHLY recommend to anyone who’s interested in interiors or needs a budget-friendly yet beautiful coffee table book! 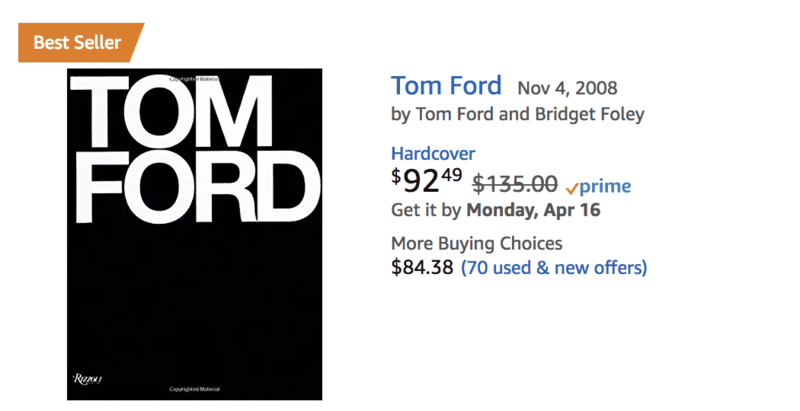 This Tom Ford book is usually around $90ish, but buying lightly used can save you some $$$. 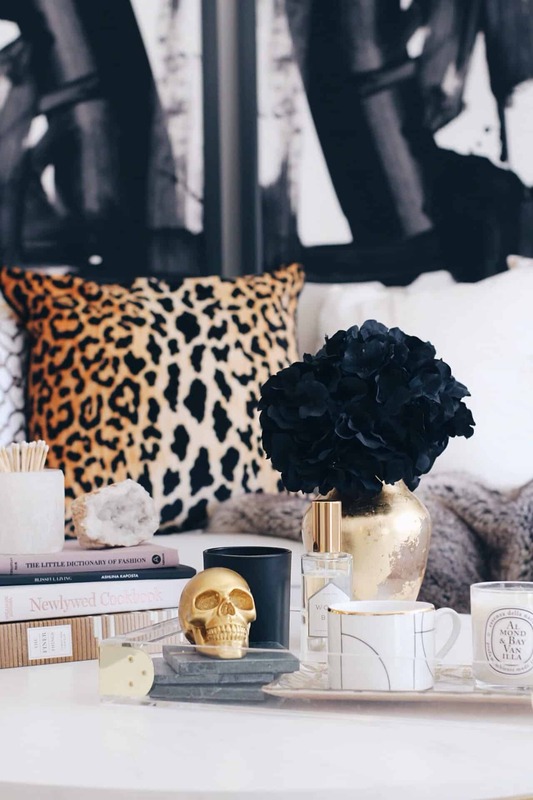 There’s like, 3 items I *have* to purchase whenever I stumble upon them: anything leopard, anything dark green and decorative skulls. 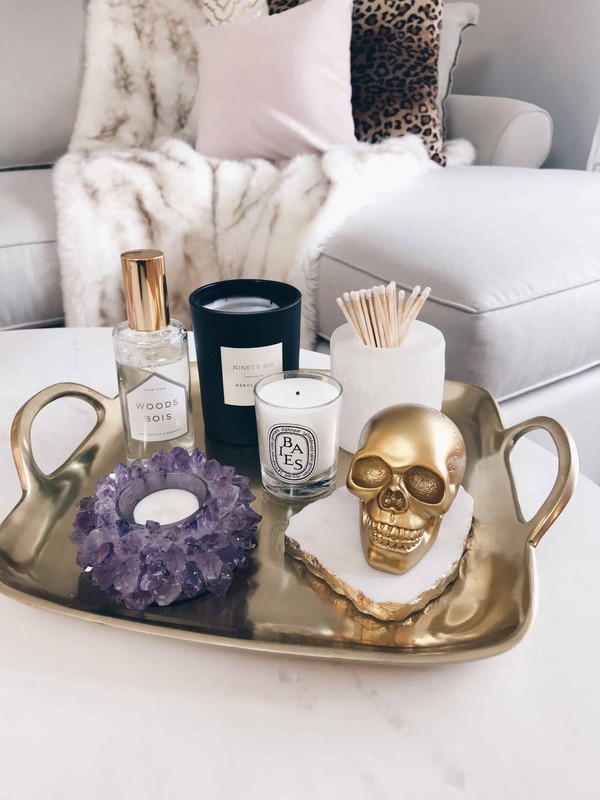 I found this tiny yet stylish gold skull on Amazon a few weeks ago and it’s also an item that’s sneaked into many of my coffee table photos. I want to just throw it in my purse and bring it with me everywhere LOL. It looks like pillow covers tend to be my go-to Amazon home find. 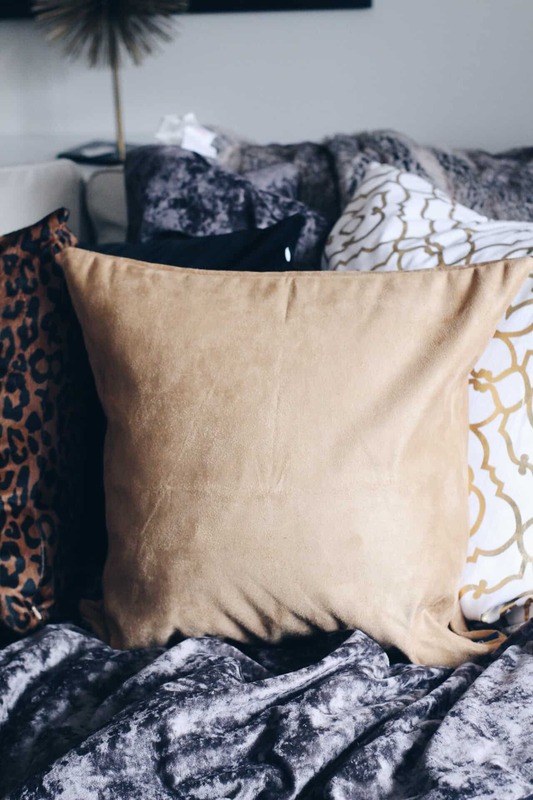 I found a PAIR of these faux-suede pillow covers for only $13.37 and I’ll admit – I’m not super impressed with the quality, but they’re definitely not bad for the price! 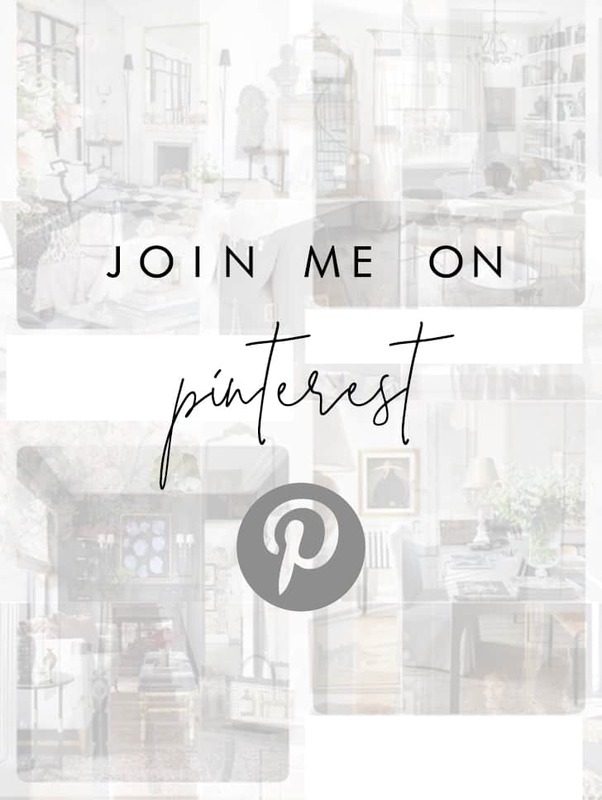 The 7 oz Sunday Series is my own way of creating a diary-like post one Sunday per month about whatever’s on my mind at the time – what’s inspiring me, my current favorites, what room I’m thinking about styling next, etc. So why the phrase “7 oz Sunday,” you ask? Well, since Sunday’s typically call for a littttle extra vino in your glass (like 7 oz versus the “recommended” 4 oz) – why the eff not. Where are the links to the actual items purchased? 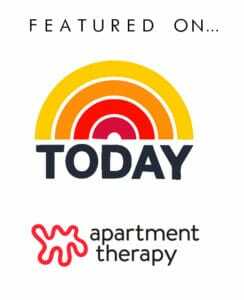 Without the links this article is useless. Where did you find the two black and white canvases??! ?